For the first two decades of its existence, Teach For America (TFA) could expect fawning media coverage and unremitting praise. With founder Wendy Kopp and her band of Ivy Leaguer grads, article after article glowed, education inequity in the US had met its match. But over the last several years, the near-universal adulation has begun to wane. Several school districts have kicked out the organization. Some professors refuse to write student recommendation letters for TFA applicants. And TFA’s high-powered PR department now seems to spend much of its time churning out statements defending itself. Not surprisingly, the uptick in public criticism of TFA — one of corporate education reform’s totemic institutions — has tracked with increasing opposition to neoliberal education reform. Teacher organizing has been key. Taking its cues from the Chicago Teachers Union, reform caucuses have sprung up in teachers unions across the country. Bill Gates and company, if still powerful, no longer seem indomitable. Two new books by former TFA corps members seek to heighten that growing skepticism. Unlike previous works, Sarah Matsui (Learning From Counternarratives in Teach For America) and T. Jameson Brewer (Teach for America Counter-Narratives: Alumni Speak Up and Speak Out, coedited with Kathleen deMarrais) both focus on the experiences of TFA alums themselves. The picture that emerges — of overworked, disillusioned corps members — is distinctly at odds with the way TFA presents itself internally and externally. Yet the slow accretion of counter-narratives won’t be enough. And the concerted organizing it will take is still in its embryonic stage. In the following interview, conducted by Jacobin associate editor Shawn Gude, Brewer and Matsui discuss the source of TFA’s power, why some corps members are upset with the organization, and how resistance to TFA fits into the broader fight for educational justice. Though it has grown enormously since its founding, TFA is still a relatively small organization. Of the country’s nearly 50 million public school students and 3 million teachers, there are roughly 9,000 TFA corps members teaching 500,000 students. How has TFA had such an outsized impact, both in terms of policy and the public discourse? How does the organization fit into the broader corporate education reform movement? It is true that TFA makes up a relatively small percentage of all of the teachers in the US. However, because TFA systematically places concentrated amounts of corps members in the nation’s neediest of schools, the impact in those areas — schools that need our very best — is focused. TFA contracts with districts require clustering of corps members, so TFA’s concentrated reform efforts are evident at both the district and the school level. New Orleans is a great example. Prior to Hurricane Katrina, teachers in New Orleans were characterized as having quite a bit of experience; immediately after the storm the average teacher had zero to one year of teaching experience (mostly TFA corps members). TFA has had an incredible impact on policy and public discourse because of its model. That is, TFA’s mission statement doesn’t include reference to teachers or teaching; rather, it mentions “leaders.” Through TFA’s spinoff arm of Leadership for Educational Equity, TFA systematically oversees the political campaigns of alumni who find themselves in positions of policymaking power. Additionally, TFA’s Principal Pipeline initiative places alumni in similar positions at the school level. Overall, TFA reinforces the myth of the failed school and the bad teacher, and the public has been all too ready to continue believing in that myth. I think TFA illustrates how power works in America. TFA’s disproportionate influence stems from its powerful individual and institutional supporters. Secretary of Education Arne Duncan described TFA as “a proven strategy ready to go to scale.” TFA brings in over $300 million of public and private dollars, and financial powerhouses ranging from large banks to the Bill and Melinda Gates Foundation support TFA. Graduate schools across the fields of business, education, law, medicine, policy, STEM, and social services actively recruit and extend special benefits to TFA alumni. Google, Deloitte, PricewaterhouseCoopers, Ernst and Young, General Electric, Bain and Company, JP Morgan Chase, and McKinsey & Co. are listed as TFA’s top employer deferrals. Deloitte, Pearson, Target, Morningstar, Parthenon Group, Boston Consulting Group, and Capital Group are among TFA’s top alumni recruiters who actively participate in TFA’s Full-Time Business Resume Program. I think TFA’s mainstream adoption prompts another important question: what about TFA’s narrative appeals so greatly to the American elite? Your books are very concerned with narratives, both inside and outside the organization. How does TFA frame itself to the public, and what does this miss about public education? What narratives do they advance among corps members, and to what extent are these at odds with the experiences and perspectives of corps members? TFA’s basic premise is captured by founder Wendy Kopp’s statement that there is “nothing elusive” about successful teaching; people simply need to “work hard” and be “disciplined.” This focus on the simple power of individual effort to overcome structural inequity typifies TFA’s approach. There are two core underlying tenets of TFA: 1) the uncritical acceptance of the American meritocracy narrative and the American Dream, and 2) the disproportionate emphasis on the power of the individual. TFA internally reinforces the narrative that an individual idealist can overcome structural injustice through their hard work and caring. TFA’s narrative often misstates the struggle: the problem of the “achievement gap” does not reside in individual students; “giving high expectations” to “individual students, even those with learning disabilities,” is insufficient to dismantle structural inequity. Individual teachers and students can make incredible academic gains despite educational inequity, but educational inequity is not a problem of individuals’ efforts or expectations. Scaling up even the best of intentions or holding the highest of expectations for individual students will not desegregate our schools or change the differential funding of our separate school districts. For example, in Philadelphia, per pupil expenditures were $9,299 per pupil for the city’s 79 percent black and Latino population, while just over the city’s boundaries into Lower Merion, part of the inner ring of Philadelphia suburbs, the per pupil expenditure was $17,261 for a 91 percent white population. Your books are among the first to collect the perspectives and experiences of those who have soured on TFA. What were some of the most striking or revealing anecdotes and critiques? After a few years of receiving emails from disenchanted corps members and alumni who had come across some of my work on problematizing TFA and found solace in the fact that they were not alone in their discontent with the organization, I decided that a collection of counter-narratives was long overdue. Our goal was to compile narratives from a diverse group of alumni (geographic, ethnic, timing of involvement with TFA, and gender diversity) to illustrate the far reaching problems of TFA. Since the goal of the book was to produce a comprehensive collection, we chose to include perspectives told from various points of view — from the more academic to the more purely narrative — all in the effort to make the book accessible to a wide audience that would include policymakers, school boards, principals, teachers, prospective corps members, teachers, students, etc. I think what is striking is the sheer honesty and rawness of the stories. It takes a lot of courage to publicly admit that TFA was more of a benefit to yourself than students or admit that TFA gave you the space to act on hidden racism. As we collected the narratives we found that there were three overarching themes of the stories shared: 1) TFA’s recruiting and training practices; 2) TFA’s approach to diversity; and 3) TFA’s approach to criticism. Overall, alumni narratives tell a story of TFA preying on the idealism of young people while offering them a chance to mostly better themselves, reinforce racist deficit ideologies, and all the while, crush and silence anyone who challenges such practices — especially when those challenges come from the inside. taking TFA’s claims of effectiveness at face value, I continued to be wooed by the organization. Besides the free events hosted by the campus recruiter, TFA offered additional financial incentives to make the bait even sweeter. I remember gushing to my parents that I would not only receive a full teacher’s salary, but also get funding to cover the transitional costs of moving and living during the summer before I began teaching. As an indebted college student, it seemed that, on top of using my skills and education to serve in public education, I was making a solid financial decision in joining TFA. Such tantalizing benefits convinced me that not only was I making a strong move for my future, but I would also be “making a difference” in the lives of low-income and minority students. As a young, well-educated, idealistic student, I took the bait — hook, line and sinker. I joined [TFA] to be part of “the Movement” to end education inequity. Growing up in low-income schools in the south suburbs of Chicago, I sincerely, albeit naively, believed education was the great equalizer . . . I accepted as true — and TFA was quick to confirm — the myth that all that poor students (of color) need is what affluent (White) students have: access to great schools with the best teachers that hold students to high expectations . . . I have come to acknowledge and recognize color- blind racism and to see how it undergirds educational inequity. TFA, in my view, perpetuates, commits, and cultivates this kind of covert racism. TFA is a movement. It recruited, used, and grew my racism, leading me to uphold the dominant culture’s notion of who is “educated” and to force the assimilation of my students into such beliefs — no excuses. In stark contrast to the harsh and constant criticism that TFA doles out to its corps members and staff members, much of what the organization has been doing in recent years — creating its own public relations machine — suggests a desire to be above criticism itself. During my tenure on staff, the organization created a national communications team whose job was to get positive press out about TFA and to swiftly address any negative press. My sense was, and still is, that TFA cares more about the public perception of what it is doing than about what it is actually doing to improve educational outcomes and opportunities for low-income students throughout the United States. In contrast to the “TFA script,” corps members described unexpected negative changes they experienced in TFA, the degrees of trauma in TFA, the organization’s culture of guilt and shame, their struggle to follow TFA’s instructions to teach their students (mostly poor people of color) to be “racially aware” (particularly because corps members were mostly upper/middle class and white, and did not know how to identify their own social location), their perpetuation and resistance of the TFA Hero Teacher narrative, etc. It’s also striking to have confirmed that these realities are prevalent and occurring now. TFA published a press release in response to Jameson’s book in which TFA minimized those corps members’ lived experiences. The truths expressed by corps members in Jameson’s book also resonate through the pages of my book, in the stories of a sample group of twenty-six corps members in the Greater Philadelphia region. Twenty-six corps members from the 2011 and 2012 TFA Greater Philadelphia corps opted into my study. As this is a relatively small, self-selected (not randomly selected) sample group, my study is not intended to be representative of all TFA corps members, or even all TFA Greater Philadelphia corps members. However, this expository account raises important questions about the frequency, range, and implications of negative experiences in TFA — particularly those currently ignored or suppressed by TFA. For an organization that describes itself as “data-driven,” it is interesting that TFA does not collect data on how their corps members are impacted by their TFA commitments. While working in racially segregated and under-resourced schools, 35 percent of the corps members in this study began professional counseling; 27 percent began taking prescription medications to address depression, anxiety, and trauma; 38 percent experienced increased alcohol consumption and dependency; 42 percent experienced major weight changes; 46 percent experienced strained relationships; and 73 percent experienced physical fatigue, some to the point of requiring medical attention. Corps members directly connected these negative changes to their experiences in TFA. There is currently no adequate control group, so in order to identify what changes corps members attributed to their time in the corps, particular attention was given to how these corps members interpreted their experiences prior to, during, and in some cases, after their two years in the corps. This study only includes corps members who completed their two-year commitment with TFA, but a separate study should explore the experiences of the many corps members who drop out of TFA. Because TFA seems to position corps members who struggle as anomalies or as outliers who were unsuccessful in TFA, I think TFA would be surprised to know that at least seven of the twenty-six corps members in this study were nominated for the prestigious national TFA Sue Lehmann Excellence in Teaching Award. Sue Lehmann nominees who participated in this study described their new experiences with depression, anxiety, trauma, fatigue, therapy, and medication while serving in TFA. This does not diminish the real struggles of corps members who were not nominated for Sue Lehmann. It does, however, challenge TFA’s narrative around what is required to be a successful TFA teacher. There are significant hidden costs to TFA’s education reform formula. Many rightly criticize TFA for promoting the two-year commitment as a stepping-stone to other careers, or a resume-padder. But they couple this with appeals drawing on the youth idealism of its mostly liberal corps members. What role does idealism play in the organization, and to what degree do corps members object to TFA’s conception of what idealism entails? Many corps members entered TFA as idealists and had their idealism reinforced in TFA. One of the central limits of idealism is that it treats structural inequity as a result of individual failure that can be wholly overcome by heroic effort. TFA’s Hero Teacher narrative presents educational inequity as separate from its relationship to historic and present power structures; this narrative euphemizes and presents the decontextualized problem of “the achievement gap” without questioning how this gap was created. The Hero Teacher narrative presents a narrative of disenfranchisement and ignores the intent, agents, mechanisms, and beneficiaries of systems of oppression. Other corps members also tried to resist TFA’s Hero Teacher narrative by doing the work of identifying their social location, acknowledging their own prejudices, and then committing to finding more ethical practices and more honest narratives. The idealism in TFA is not only an artifact of corps member’s naivety but of their massive disconnect between the lived realities of students in poverty as seen through the lens of corps member’s affluent privilege. Not only does Kopp project a deficit assumption about the communities and educators surrounding the schools where corps members are placed by asserting that most non-TFA folks have “given up.” But her statement is indicative of TFA’s preying on the idealism of corps members who basically don’t know any better and don’t realize that they are cogs in the push to privatize, commoditize, and marketize public education for profit. After years of uncritical praise, TFA has started receiving less favorable media coverage and more public discontent from alumni. One corps member in your book, Jameson, writes about viewing her time in TFA as “almost a guilty secret.” Why has there been this sort of shift in how TFA is viewed by corps members and the broader public, and how has TFA as an organization handled this uptick in public criticism? TFA controlled the rhetoric about TFA for the first twenty-three of its twenty-five years. Critique has always been there but only in the last two years has that critique started to come together and find outlets. That was a fundamental aim of our book: providing an outlet for discussion where it was historically absent. TFA has been forced to include defensive measures to combat negative press. And while any company would likely engage in a public relations campaign, TFA is determined to undermine any and all dissent ranging from nationally syndicated columns to obscure blogs. Since this shift, current corps members have been forced to come to grips with their involvement — and rightfully so. No longer can a corps member come into TFA and only hear the hype about how TFA is on the front lines of the new Civil Rights Movement. They must contend with the realities and consequences of their involvement. I think that the alumni author who suggested that she felt TFA was a guilty secret is evidence that the growing tide of critique and criticism is showing that no longer can the affluent, usually white, recent college graduate go “slum it” in the ghettos for two years and then cash in on that volunteerism without questions (and questions of themselves). In terms of how TFA responds to public critique, I think it’s interesting that while I’ve presented my findings to TFA offices in private, they have not responded to invitations to engage in dialogue in public. I invited TFA to join a discussion of corps members’ counter-narratives in Philadelphia on October 3 at the University of Pennsylvania bookstore. Despite multiple private and public invitations to TFA Greater Philadelphia, no one from TFA attended or acknowledged the event. Over thirty corps members, TFA alum, students, educators, professors, community members, activists, lawyers, therapists, and other powerful perspectives were present and engaged in thoughtful discussion. People had questions for TFA. 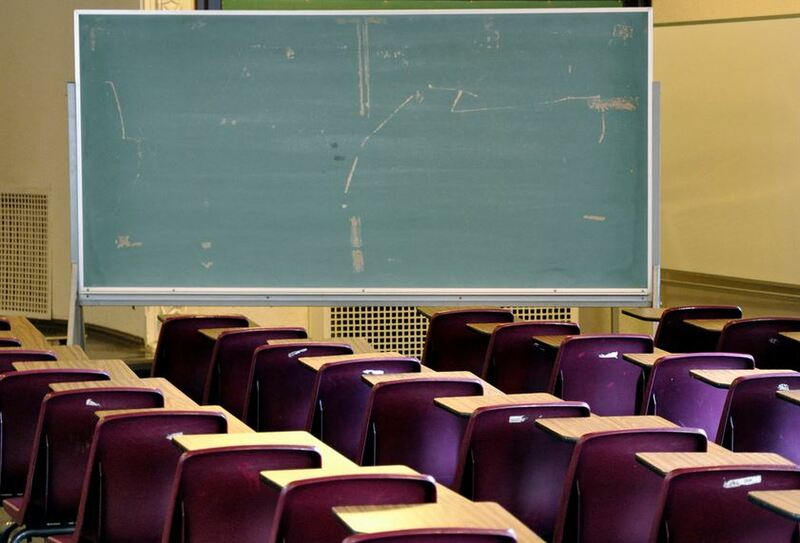 In response to its critics, Teach For America has started implementing some reforms. One major change is the composition of its corps members: Of the 2015 corps, 49 percent are people of color, 47 percent are Pell Grant recipients, and 34 percent are the first in their family to have college degree. How should we think about these organizational changes? On the face of it, TFA’s push to make itself less white seems like a decent change. Though I’m skeptical of the rationale, as I believe that the change is less out of a desire and more out of defense. That said, despite the now decreasing whiteness of TFA, the message conveyed by TFA and its corps members is still one that privileges whiteness and reinforces the myth of meritocracy. This is the best parallel I can think of offhand to frame TFA’s recent organizational changes: there is both institutional and individual significance to Barack Obama as a black man serving as president of the United States. Obama’s identities (race, class, etc.) also inevitably shape his work. This is deeply significant. However, having a black man as president does not inherently undo structural oppression and racism in America. To expect an individual person of color to unmake structural racism in America simply by existing is a fallacy and a kind of misguided tokenism. Similarly, I think TFA’s decisions to change its corps to reflect greater racial and class diversity are significant. However, unless these demographic changes are paired with 1) changes in TFA’s narrative and 2) demonstrated openness to the diversity of perspectives that can productively shape TFA’s growth, it’s a severely limited step. Working towards greater representation of historically marginalized people in positions of power is important. So is modifying the institution’s policies and practices. How should those in the educational justice movement think about TFA in the broader fight against corporate education reform and the struggle for a more equitable public education system? This discussion of TFA seems to polarize those in the educational justice movement into two distinct camps: those calling for national adoption of TFA’s narrative and those calling for TFA’s immediate dissolution. Idealism is insufficient to dismantle structural injustice. Scaling up even the best of individual intentions will not desegregate our schools or solve the inequity of public school funding. TFA’s emphasis on the meritocracy and the power of the individual places all responsibility on individual poor students of color and their individual educators to simply try harder and care more. We need a discourse that also holds our larger society accountable for its historic and present marginalization of people by race and class. America has accumulated an education debt and needs to reckon with what is owed to entire groups of people and their subsequent generations. TFA needs to fundamentally restructure conversations around how they engage in this pressing work, how to respond to the complexity of what corps members and their students experience, and how to address the particular histories and dynamics of power which undergird educational inequity. Without equity literacy, TFA can become a powerful reinforcement of the system it allegedly opposes. I agree that defunding and eliminating TFA in its original form are credible goals. I have two main concerns: 1) I don’t think the problems we see in TFA are exclusive to TFA, and 2) calling for TFA’s dissolution should not be the only or end goal. Someone I very much respect reviewed my book and likened TFA to the tobacco industry. I see his points, especially those related to deceptive marketing. But there’s a difference that I think needs to be highlighted in order for our work to be effective long term: the tobacco industry is the root problem; TFA is not the root problem. There are particular ways TFA can exacerbate educational inequity, but there’s an entire system and ideology that allows for TFA to exist and thrive. If TFA shut down without critical deconstruction of why their theories and practices can be problematic, I suspect other problematic groups and practices would pop up in its place. Calling for TFA’s dissolution cannot become our end goal, because shutting TFA down doesn’t address the root problems of race-, class-, and gender-based inequity of opportunity. For me, thinking about TFA in the struggle for a more equitable public education is akin to thinking about doctors in the struggle for more equitable access to medicine. No one would accept a program that gave doctors eighteen hours of training before they visited with patients or performed surgery. Such a program would be laughable. Equally so, TFA’s eighteen hours of student teaching should be laughable and offensive to anyone truly interested in expanding equitable access to public education. The places hurting for quality education need the best teachers, not ones with eighteen hours of training. While related, it seems that corps members’ criticisms of TFA can be grouped under two headings: 1) working conditions and the circumstances of employment, and 2) TFA’s approach to education reform and conception of education. Historically, teachers have banded together in unions to redress their grievances on these sorts of issues. Increasingly, even charter school teachers are unionizing. TFA is of course vehemently anti-union, but what chance is there of corps members organizing a TFA union or some other comparable collective body? What other kind of collective action have disillusioned current or former corps members engaged in in recent years? Learn with Detroit, a collaboration of former and current TFA corps members with parents, students, teachers, community members, and organizations, is advocating for community-based, holistic, and restorative approaches to educating youth in Detroit. Under pressure from Great Public Schools Pittsburgh, a coalition of several labor, interfaith, and social justice groups, the school board rejected TFA’s entry into its public schools. Resistance to TFA coalitions have developed in Chicago, Philadelphia, Washington DC, and New Orleans. Corps members in Philadelphia are currently organizing a critical group to discuss Learning From Counternarratives in TFA, create a companion guide of reflection and application questions, examine their own positions and practices, partner with community members, educators, and students in supporting Philly’s public schools, and collectively advocate for TFA’s reform. Several Penn professors who teach TFA corps members are also seeking out corps member counter-narratives and pushing for reforms internally. While TFA cannot take an official stance on teacher unions given its nonprofit status, in reality, it is widely known that TFA is exceedingly anti-union. Not only is this evident in the organization’s practices and relationships with anti-union funders (e.g., Walton, Gates, and Broad Foundations) and its association with anti-union charter schools, but it is also glaringly evident as many alumni of the organization who leave the classroom to take on policymaking roles are themselves anti-union and pro-reform (e.g., Michelle Rhee). There have been a few instances where TFA corps members have joined teacher unions but those continue to be the exception to the rule — especially as TFA continues to increase its placement of corps members in charter schools. I think that the growing tide of criticism over TFA is forcing current corps members to really question their role in education reform. I think that we are at a unique time where current corps members have the opportunity to band together in a formal union in addition to creating corps member “unions” where issues of contention and dissent can be brought to TFA in a more unified front. If this becomes the case, TFA would no longer be able to single out “troublesome” corps members and work to get them back in line. During my summer spent on staff at Institute, I repeatedly saw the school director and corps member advisers making lists of “problematic” corps members and developing plans to surround them with “stronger” corps members in an effort to not only shield more susceptible corps members from non-TFA thinking, but to work to fully convert the problematic corps member into the TFA mindset. A formal collective of corps members who could voice dissenting viewpoints would stymie such practices. The absence of such a collective will continue to allow TFA to control the narrative and climate that corps members are subjected to within the organization. Sarah Matsui holds an M.S.Ed from the University of Pennsylvania and is the author of Learning From Counternarratives in Teach For America . Disillusioned Teach for America alumni are striking back at the organization’s neoliberal narratives.